Nothing comes between Anja Kotar and her curiosity. The 21-year-old Berklee graduate has led a life of persistent pragmatism, leading directly to her career today. Her new releases will explore the relationship between youth and technology; speaking from her own experiences, she delivers a mature, nuanced perspective on contemporary life. Fame will find Kotar for her talent alone, but her good humor and tireless drive will set her apart. She comes from the small central European nation of Slovenia, which has a population of just over two million and “looks like a chicken” on a map—her words. She began training in dance and piano early on (her dance group won the gold medal at the World Dance Championship in Germany), and she entered conservatory for piano and musical theatre when she moved to San Jose, California, at 14. It was there that she was finally able to truly immerse herself in another discipline she’d been working at for some time: vocal performance. She seized opportunities to sing in jazz troupes and has since trained with one of Los Angeles' most prominent vocal coaches, Micah Plissner. For her hard work, Kotar was awarded the Outstanding Musicianship Award several times—as a soloist with her conservatory’s jazz band and with the vocal jazz ensemble. That world of original pop songwriting took shape as ​NOMAD​, her first full-length record. Without the personal funds to make it a reality, she relied on the generosity of fans through Kickstarter, eventually topping $20,000 for the project. She debuted it to resounding acclaim back at home, where she continued to earn awards. In the US, the first single from the album was nominated for Best Pop Song at the 2017 American Songwriting Awards. Today, Kotar feels more at home as she questions other parts of life; she will build on her mission with her forthcoming releases. She plans to tackle the complexities of our digital lives with lyrical turn-of-phrase and visual symbolism, taking inspiration from Black Mirror and incorporating fashion at every opportunity. 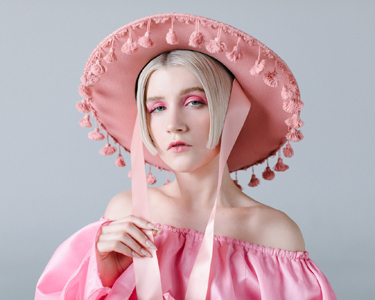 Los Angeles, CA - Anja Kotar brings youthful pop music to the forefront of the millennial generation with her latest single, “Kids.” Accompanying the spirited pop anthem, Kotar teamed up with her longstanding creative partner, Jani Ugrin to bring the song to life with a multicolored music video. “Kids” is now available to stream and download on digital platforms worldwide. The video can be seen on YouTube. Thought-provoking lyrics paired with the celestial music video isolates the listener in a moment of time that allows them to escape reality and dance wistfully along to the beat. The 21-year old has captivated audiences across Europe and North America and has garnered upwards of 230k streams on Spotify. Showing no signs of losing momentum as we enter the new year, Anja Kotar plans to tackle the complexities of our digital lives with lyrical turn-of-phrase and visual symbolism, taking inspiration from Black Mirror and incorporating fashion at every opportunity. “Kids” is available now to stream and download on all digital music platforms worldwide. The music video is available for viewing on YouTube. Keep up with Anja Kotar by visiting AnjaKotar.com.